China’s transportation infrastructure has witnessed some unbelievable changes in the past 40 years. As recently as the 1970’s, the main method of transportation around the mainland was the bicycle. This was followed by the emergence of public buses in the 80’s and 90’s. Personal vehicles began to emerge from urban middle-class families around the early 2000’s as the China’s metro system began to take hold across some of its largest cities. Now, China has one of the largest transportation networks on the planet. Highways now link major cities with surrounding less-developed areas, further allowing for the flow of work and capital. In turn, neighborhoods along the outskirts of cities such as Beijing and Shanghai have exploded with growth. These developing regions add to the expanse of most cities, creating a massive urban metropolis in most cases. China's push to the future is seen all over its Eastern seaboard. Just over two years ago, Beijing unveiled its 7th Ring Road. Spanning over 1,000 kilometers, the road snakes through vast areas of undeveloped countryside in nearby Hebei Province. The road is part of a colossal Beijing transportation network that connects 13 cities with the Chinese capital. The Chinese administration hopes that the new highway will assist in the development of new industrial parks and solidify Beijing's status as a megalopolis. Elsewhere on the mainland, massive steps have been taken towards a tech-driven future of transport. Ride-hailing platforms such as Didi Chuxing are becoming increasingly popular in China's urban areas as the nation continues to modernize. 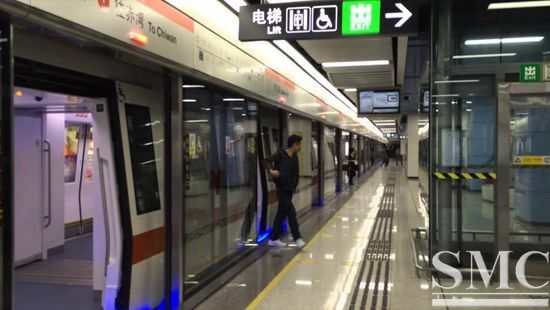 More notable improvements have been seen in several Beijing metro stations as facial recognition stations have been implemented in place of the traditional card scanner. On that note, it is worth mentioning the incredible expansion of China's train networks. New rail lines are being lain every day to connect the Eastern provinces with the inland West, a move to ensure equal growth across the mainland.